Your Diet and Exercise Plan is Not Working: Here’s Why– This is a quick read and it is more about how in order to really succeed at any diet or exercise plan you need to be mentally checked in as well. This is a goal for myself personally as I move into the New Year. How do I talk to myself better in order to make sure I am feeling everything I work so hard for. “A clear mind and a strong heart will do much more for your health and life than any perfect diet or workout”. Breakfast is my favorite meal of the day. I love all types of breakfast food, oatmeal, greek yogurt, eggs and toast, you name it. I have also found when there is a breakfast I like I will become obsessed and will eat it everyday without fail. I had years of oatmeal with cinnamon and a cut up apple, to me it tasted like a warm apple pie. 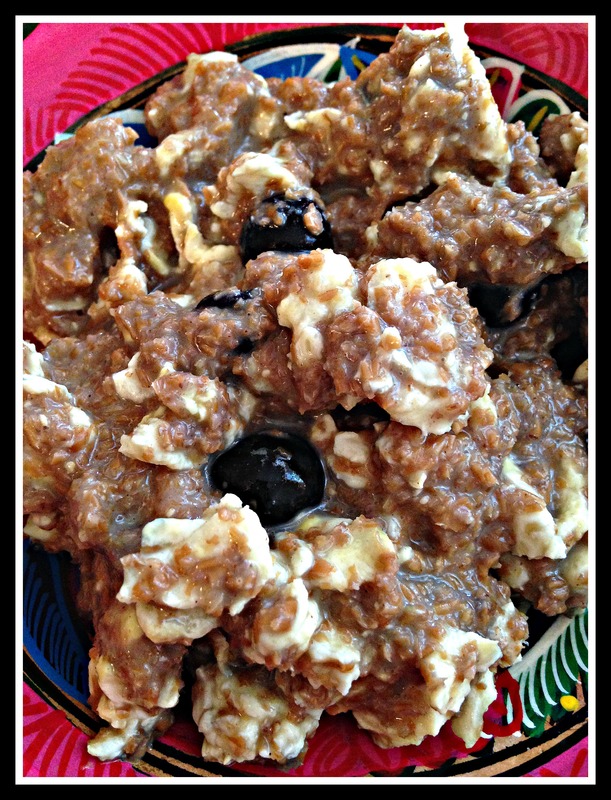 Then I moved onto overnight oats, a mix of greek yogurt and oats, mixed with grapes. It is creamy, sweet, and easy to enjoy leisurely. This has now been my staple for the last couple of years. Although now it has come to be that time where I might have to switch it up. And to what one might ask? Well I think I may have just found my new breakfast love, an oat bran porridge. I found this recipe like I do so many, looking through my beloved Pintrest. I had some extra oat bran around the house from a quick bread I had made. Staring at the bag I pondered to myself, could this be more? As I typed in oat bran into the key words search engine I became pleasantly surprised to learn yes it could be. Not only could it be more then just an ingredient someone bakes with, but it could be a whole meal on its own. I took the recipe and immediately made the porridge. However I knew it was going to need just a little something else. A few months ago Dustin started to dress up his oatmeal. He started to add eggs, blueberries, chia seeds, and and almond butter making it a huge power breakfast. At first glance it seemed quite gross to me. I mean it looked like such an odd combination. Although upon trying his concoction I became quite obsessed. When making the porridge for the first time I decided I would make it Dustin’s way, adding eggs and blueberries. I have to say it ended up being really delicious and filling! That is one thing I love about simple oats or porridge’s like this, there are plenty of easy mix ins one can add. Almond Butter, Banana, apples, brown sugar to make it sweet, but one can also add in eggs, kale, squash, nuts, to make it savory. The options are endless! Below is the quick and easy recipe, it takes only about 5 minutes to prepare. Place oat bran, water, milk and cinnamon into a small saucepan over medium heat. Cook stirring frequently for about 3 to 5 minutes or until the mixture starts to bubble. You want the mixture to thicken and it is better to under-cook rather than over-cook it. Once you remove it from the hear allow a couple of minutes for it to thicken a little more and then add in your sweetener and fixings. Mine was 1 egg and 1/4 cup egg whites scrambled together with a 1/4 cup of blueberries. The Art of Off Season Training– This article is written by Yael Averbuch a professional women’s soccer player who talks about what it means to be in off season and how one optimizes time when not in the peak of competition. I like her principles, although you can tell she is a fierce competitor. I think the goals she lays out could be interpreted in a lot of aspects in life outside of just fitness as well. Lately I have had a few people ask me if there were books I used during my weight loss that I would recommend out to others. Unfortunately I did not read anything specifically in my weight loss mode besides a lot of health magazines and internet articles, however I have read a lot of books since then on food, fitness, and overall healthy living. Some of the books I have read have been very science based, while others are more opinion focused. My favorite books are the ones which are real, where I can relate to the topics covered, the advice given, and feel like anyone can do it. In order to make something a habit it needs to be something you are able to sustain. Who wants to live life without the indulgences of good food? 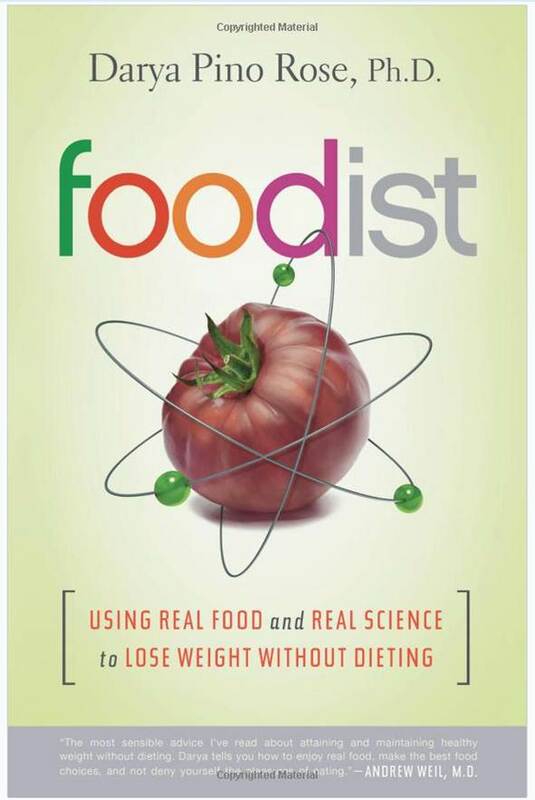 With this in mind my favorite book by far on this topic is the “Foodist: Using Real Food and Real Science to Lose Weight Without Dieting” by Darya Pino Rose. I first learned about this book at a local bookstore in Noe Valley called Omnivore Books who deals solely in books on food. Brilliant right? The books cover everything, cooking it, growing it, eating it, you name it. It was about a year ago I had found the little store and decided I needed to plan a whole day around going to it, have I mentioned my love of bookstores yet? This meant one Sunday morning after convincing Dustin to join me we got up and started the 2 mile leisurely walk there grabbing coffee and breakfast along the way. Bookstores have always been a place of peace for me. I can spend hours in them. I take everything in around me. I walk from table to table looking at the curated assortment from someone else’s perspective. I take my fingers caressing the cover’s and picking up ever so gently the ones that peak my interest. I skim through the pages, pausing when I get to pictures. Looking, taking it all in. I found the foodist perched up towards the front window. As I started to read the summary my interest was immediately spiked even though I was no longer trying to lose weight. However the selling point for me from browsing to actually buying was seeing a little sign by the book talking to how in just a couple of weeks the author was going to be in the store doing a book reading and signing. I am a sucker for lectures, so in that moment the decision was made. I would purchase the book, read it, and attend the event. First I am going to talk about the book, which we already know I loved. The author Darya had an ease to her writing that made it very educational without being preachy. It was refreshing to read a book that embraced food and health in a sustainable, which had been my focus at the time. Darya talks to how there is so much more to being healthy then constant exercise and watching everything that goes in your mouth. You don’t have to count every calorie or kill yourself at the gym to be able to lose weight and maintain it. Personally it made me feel confident that once the habits you make are established then your healthy lifestyle is easy to maintain, something I still struggle to fully trust. After reading her book my immediate reaction was feeling energized towards healthy living. I felt like I had just been talking to a friend who had given me some great advice. In person Darya was very easy going. She talked to her book with a confidence and poise which made me want to befriend her. I wanted to be engulfed with her knowledge. She seemed sweet, sincere, and grounded. Nothing is better then hearing directly from someone on what inspired their work. It gives you context you would never get out of the book alone. Lastly I think what made me love this book even more was Darya lived in San Francisco, actually it turned out only a few blocks from where I lived. So the way she lived her life, the grocery stores she went to, the farmers markets, the gyms, those were the places I went to as well. If she could sustain this life only a few streets down from me, then I had no obstacles either. To sum it all up, for anyone starting their healthy living journey, in the middle of it, or just needing to be inspired again I would recommend this book. Trust me, you wont be disappointed. The 7 Secrets of Travel Workouts– After just wrapping up my busy season at work I for one am getting ready to start my work travel again. Through in a couple of planned vacations this Spring as well and it looks like I am going to be spending at least a week or two away a month. What this means is breaking up my usual workout routines and having to improvise. This is a lengthy article, but the author gives some really good and specific tips. If you want some quick go to’s then scroll down to the bottom of his article and he has some quick tips. Junk Food In The New Year– This article is really short, but it is interesting to me that with everyone’s new year resolutions un-healthy food consumption continues to increase after the holiday’s. Over the holidays I went back home to Colorado to see my family and friends. One of the perks of being away from work and your real life is having the time to enjoy leisurely activities, like reading books and magazines. I had brought a whole stack of my favorite and very much neglected magazines with me to enjoy flipping through while drinking my morning coffee. 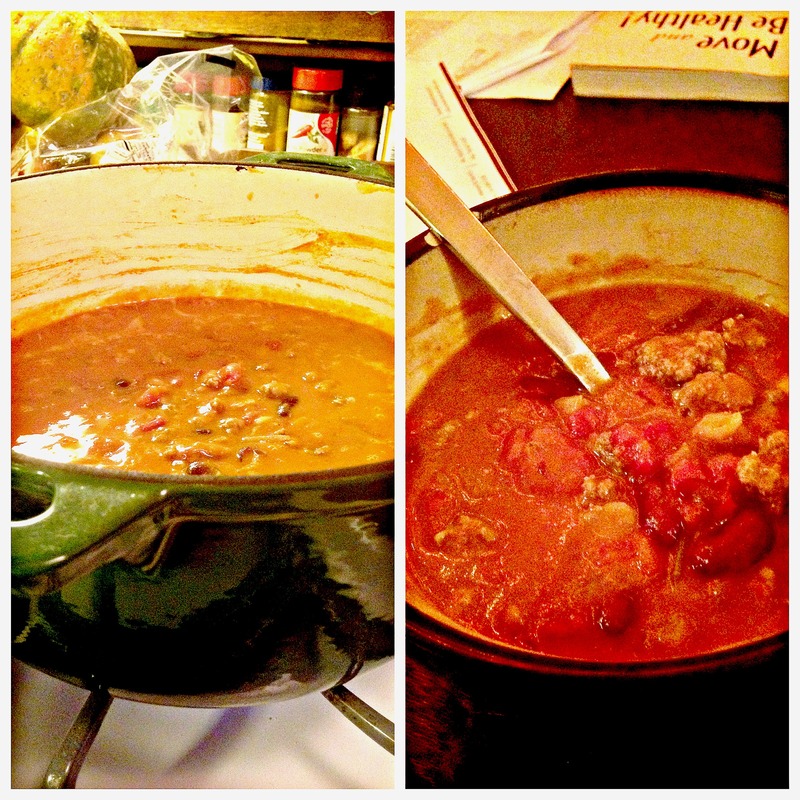 In one of my beloved subscriptions I came across a recipe for a pumpkin bean chili. I looked out the window to see the snow falling down with bursts of wind in the 20 degree weather and I knew this meal was exactly what I needed to hit the spot for the day. Plus I am also just an addict for anything that has pumpkin in it. Let’s also take a moment to talk about how much I love soups and chili’s because they are so quick and easy to fix, along with being healthy and filling. Not to mention you really can’t mess them up. For anyone who is new to cooking, I highly recommend just making a batch. Trust me, you really can’t go wrong. I decided I wanted to change the recipe a little bit to make it creamier and a little heartier, which involved adding lite coconut milk and some ground beef. I just made this dish again on Sunday and was able to tweak it a little bit more. I now feel like this recipe is a keeper. I will preface the photo’s above do not do this dish justice. First take a large Dutch Oven, I used my 6-Quart, and saute the diced onion with a little olive oil for about 5 minutes till the onion is translucent. Next add in the Ground Beef and saute until it is almost fully cooked through. Next add in all of the remaining ingredients. Next cover on medium heat for about 5-10 minutes. You can also add a little avocado or greek yogurt on top if you want to make it a little creamier. However with the coconut milk it tastes pretty good without all of the fixings. Once hot spoon out and enjoy! 5 Fitness Trends to Try in 2015- In several articles I have read it looks like High Intensity Training, or HIT is going to be the big trend this next year. I mean who wouldn’t want to burn the same amount of calories in less time? Also top of the list are Body Weight Training, Treadmill Training, Recovery Efforts, and Digital Engagement, aka Apps and other fitness technology. 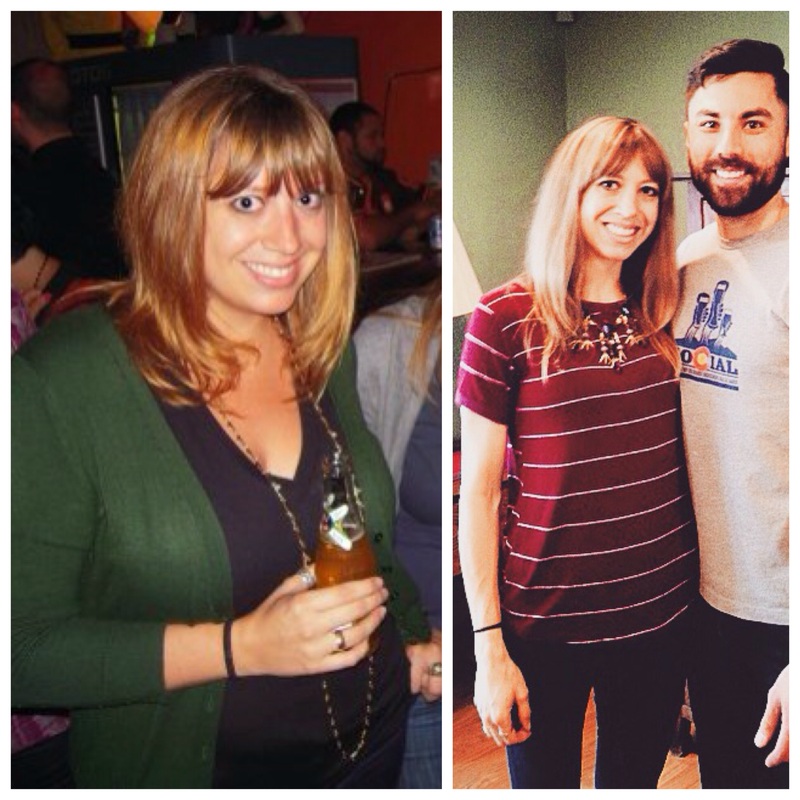 Mile Posts: 10 Tips For Making 2015 Your Fittest Year Yet– I found all of these tips really useful and good. Especially the Self Pep Talk, we can all do a little more of that. Why Not Just Breathalyze Yourself?– This article essentially covers personal breathalyzers and if more people were to use them then we could potentially see a decrease in drinking and driving. I like how the author compares it to a speedometer. You would never drive your car without knowing how fast you were going, so know what your BAC is should be similar. With cost’s starting at $30 and the size of a key chain, it seems like an easy low barrier of entry. The question is how do you make it more popular for people? My Relationship With Food: Breaking Up Is Hard to Do- But So Worth It– This is more of a personal story then it is health tips. However I feel with the New Year and people making resolutions, it is nice to read from someone else’s perspective. I also love the questions she has at the very end to ask yourself. Sometimes I feel we do not stop enough to ask ourselves how the food we eat makes us feel. So why not start now?